Right At Home and My Sweet Petunia have teamed up to bring you an inspiration filled blog hop! 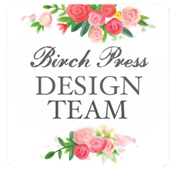 Gorgeous stamp images and a must have stamping tool...a match made in heaven! Along with the amazing creations that will surely inspire you, there is also two prizes up for grabs! One lucky winner will receive their choice of either an original or mini MISTI from My Sweet Petunia and the other winner will receive a prize package from Right At Home that includes: Sunflower stamp set, Harvest Blessings stamp set (new release) and two Distress Oxide Inks - in Cracked Pistachio and Peeled Paint. 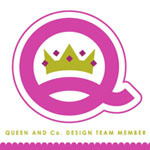 To be entered to win these prizes, make sure to comment on each of the designer's blogs (full list is below). The deadline for commenting is September 8th at noon central. Winners will be posted on the My Sweet Petunia blog winners page and on the Right At Home Blog no later than Tuesday, September 12th. If you are hopping along, you should have arrived here from KiaGibson-Clapper's blog. If you happen to have just stopped by to see what I'm up to, you can head on over to Nicole's blog and she will get you started on the hop! I am head over heels for Nicole's Sunflower stamp set! There are so many different ways to add detail to these blooms...I just love them! Having the coordinating Sunflower Die Set makes it easy to add these flowers to patterned paper, like I did here. For my sentiment, I used the Brushstroke Alphabet Lowercase to spell out the word "friend". Using the MISTI really made lining these letters up SO much easier!! When stamping the flowers and leaves, I used my MISTI to line up all of the detail images perfectly. I actually can't remember the last time that I created a card and didn't use my MISTI! I'm completely hooked! Hi friends! All week long Right at Home Stamps has been sharing handmade gift ideas! It's my day to share what I created for this fun weeklong crafty celebration! I love making handmade items to give away to friends and loved ones! I was thrilled about this week's series because it's been far too long since I've taken time to do anything like this! I have a friend that loves to take photos, and is actually very good at it! She is always taking pictures of my kids and gifting them to me. I thought this would be the perfect opportunity to do a little something for her! I remembered that I had an unfinished photo frame in my stash and couldn't wait to dress it up for her! I started by painting the entire frame with white acrylic paint. Using the Find the Beauty die set, I die cut lots of felt flowers. I love how bright and fresh the colors look together! I die cut a lot of t little circles, creating a polka dotted look. For embellishment, I stitched coordinating buttons onto each flower. Welcome! 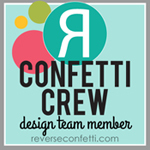 To celebrate National Craft Month, I'm hopping along with the Right At Home design team members and guests! We're sharing projects created with a brand new set Nicole illustrated just for this occasion! To create my card, I started by painting my background using three different watercolors. After it was completely dry I adhered some gold cording and then added my sentiment (from the new Make Something Beautiful stamp set) which I embossed onto a strip of white cardstock. The cute little paintbrush (also from the Make Something Beautiful stamp set) was embossed onto gold cardstock. For the tip of the brush, I stamped the paintbrush again onto white cardstock and added some color with a couple of Copic markers. I cut just the brush tip out and then adhered it onto the paintbrush. Want to win this new stamp set? Head on over to the Right At Home Blog for all of the details! Ready to keep hopping? 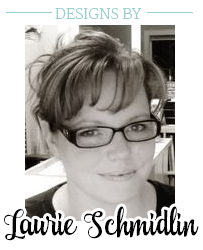 Next up on the hop is Laurie C.! I normally love patterned paper and include it on many of my cards. I couldn't quite find the right combination of colors for what I had planned so I decided to create my own! :-) I started by stamping the Gingham Background Stamp in a light beige ink. I stamped many of the flowers from the Bunny Hugs stamp set in lovely, Spring colors. I then die cut the background out using the largest die from the Find the Beauty die set. For the bottom panel, I die cut a pink piece of cardstock with the same large stitched rectangle die and then embossed the sentiment (from the Bunny Hugs stamp set) on the bottom. I then hand cut it above the sentiment, added faux stitch marks with a white pen and then added ribbon and a flower. I decorated this Kraft colored notebook using the Christmas Foliage stamp set and coordinating Christmas Foliage die set from Right at Home. I will admit that having the die set helped this notebook come together very quickly! In fact, I plan on creating several of these to give away as gifts! Well, that's all from me today! I hope you all have an amazing day!